The flower petals are coming along well. I'm attaching the wire edge now. after that I'll do the embroidery on the back. I use detached buttonhole to cover the back of the stitching so that it looks good. 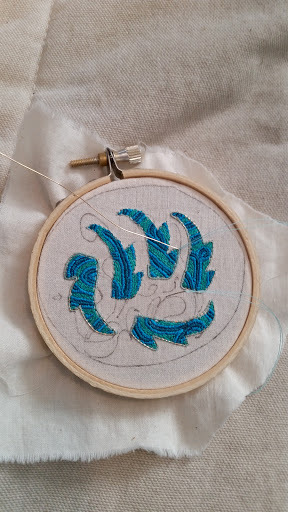 I'll probably run gold thread in the stitching for a bit of glitz.